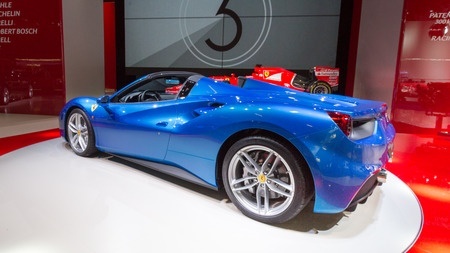 If you own a Ferrari, fine art or expensive wine, getting access to capital may be easier than you think. Although it’s still a niche market, luxury asset-backed lending has been gaining traction lately, particularly with small and mid-size business owners. These executives are enticed by the ability to use certain high-priced valuables as a means of getting large amounts of cash quickly and often at a lower cost than other funding sources. “People are increasingly learning that this is another option. It’s not for everybody, but it’s another option,” says Tom McDermott, chief commercial officer at Borro, a New York-based asset-backed lender that deals exclusively with luxury asset-based loans. It’s notable that luxury asset-based lending by alternative funders is gaining ground at a time when unsecured money is so easy to come by. There are several reasons business owners are attracted to the idea of leveraging their valuables to attain cash. First off, they don’t need stellar credit or a proven track record in business to qualify. Secondly, they can typically get larger sums of money and at better rates than they might through other financing channels. A third reason is that many of them have already tapped out other funding options and leveraging their assets allows them to obtain additional funds quickly. “A lot of small business owners have assets, so it’s something else for them to utilize in getting access to attractive small business financing,” says Steven Mandis, chairman of Kalamata Capital LLC, an alternative finance company in Bethesda, Maryland. Here’s how the process typically works at most luxury asset-based lenders. Say a business owner wants to borrow against a high-priced item such as a top-of-the-line car, fine art or wine, jewelry or a luxury watch. First the luxury-based lender hires a third-party to appraise the item. Generally, depending on the asset and its marketability, lenders will lend 50 percent to 70 percent of the asset’s value. If the owner moves forward, the item or items are held and insured in a lender’s secure storage area until the loan is paid back. Default rates on these types of loans are relatively low, lenders say. “People don’t want to put their house at risk when they need capital,” says McDermott of Borro. “They’d rather lose the Maserati or a lovely piece of art than the house,” he says. And even then, it doesn’t happen very often, he says. Borro clients only default on their loans about 8 percent of the time, McDermott says. To be certain, luxury-based lending is not a business that every funder wants to be in. For starters, there are a lot of regulatory hoops a funder has to jump through in order to do it. You need a pawnbroker’s license and a second-hand dealer license. You also need a secure facility or facilities to house the collateral, have secure ways of transporting the valuables, and you need to carry large amounts of insurance for the transfer of the items as well as during the holding period. Indeed, keeping the items secure is critical. PledgeCap, a Lynbrook, New York-based funder, says on its website that it uses “cutting edge technology, top of the line bank vaults and armed guards” to keep a customer’s items safe. What’s more, all items are insured during transit and storage. All items are shipped through secured and insured FedEx shipping vendors for pickups and drop-offs. “There aren’t a lot of players in the market because there are a lot of operational and legal requirements to adhere to. There are a lot of barriers to entry,” says Gene Ayzenberg, the company’s chief operating officer. Luxury asset-based lending is only a small subset of the overall asset-based lending market, which as a whole has been gaining ground in the past few years. After getting badly burned in the most recent recession, many lenders have come to appreciate the security blanket that collateral offers. According to the Commercial Finance Association’s quarterly Asset Based Lending Index, U.S. ABL loan commitments rose 7.2 percent in the second quarter, compared with the year-earlier period. In addition, new ABL credit commitments were 6.3% higher than the same period a year ago. There’s not a lot of public data to gauge the size of the luxury market within the broader asset-based lending market. But a 2014 report that focuses on art lending gives more perspective to at least one facet of luxury asset-based lending. Thirty six percent of the private banks polled said they offer art lending and art financing services using art and collectibles as collateral. 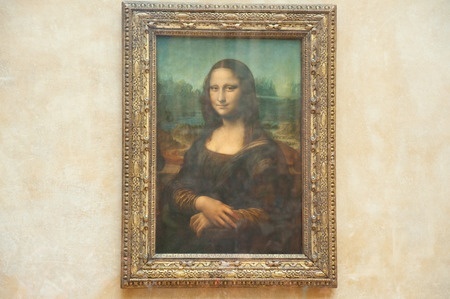 That’s up from 27 percent in 2012 and 22 percent in 2011, according to the report by consulting firm Deloitte and ArtBanc, a company that provides art sales alternatives, valuations and collections management services. Meanwhile, 40 percent of private banks said this would be a strategic focus in the coming 12 months, up considerably from the 13 percent who named this as a priority in 2012. These market changes are likely driven by client demand. The Deloitte/ArtBanc survey found that 48 percent of establishes art collectors polled said they would be interested in using their art collection as collateral for a loan, up from 41 percent in 2012. Many big banks won’t touch asset-based lending deals unless they are worth north of $5 million. Some community banks will do smaller deals, but many don’t have the necessary infrastructure or skill sets, explains Clarke, of Asset Based Lending Consultants. This, of course, leaves an opening for alternative funders to capture market share. Some lenders say they expect demand for luxury asset-based loans to continue to increase over time as more people accumulate big-ticket items and they become more aware that they can satisfy their capital needs by leveraging those assets. “A lot of times they don’t even know they have this option available to them,” says Ayzenberg of PledgeCap. He says most of his company’s customers are small and mid-size business owners. Often they have temporary cash flow issues, but bank loans aren’t necessarily an option for them for any number of reasons. For instance, some may have bad credit. Others may have excellent credit but not enough of a business track record to qualify for a bank loan. Others may not have the cash flow to secure the amount of money they need, or they may need the money very quickly. Asset-based lenders can generally make the money available within a day, whereas bank loans require a lot of paperwork and can take months to obtain. Mandis, of Kalamata Capital, says his company has seen an increased willingness by business owners to put up their luxury assets as collateral in order to get larger amounts of money at more favorable terms. Many times business owners have a high-priced asset that they don’t want to sell and pay a tax or can’t easily unload within a short-time frame. By borrowing against the luxury asset, they will get the capital to take advantage of a short-term opportunity and make an attractive return quickly without having to worry about finding a buyer or paying taxes on the sale of the asset, he explains. Certainly luxury asset-based lending is not for every customer. Not only do you have to have a valuable asset to be used as collateral, but you also have to be willing to part with the item while the loan is outstanding. The risk of default and not getting the item back may also be a barrier for some people. “I would be very hesitant to put up my wife’s diamond ring for my business. I don’t think it’s typically someone’s first choice,” says Ami Kassar, chief executive and founder of Multifunding LLC, a company in Ambler, Pennsylvania that helps small businesses find the best loan for their business. He remembers considering this option for a client only once in the past several years and the client ultimately chose another funding source. But companies that focus on luxury asset-based lending say there is a viable market for their services that will continue to grow as more people hear about it and use it successfully to fulfill their funding needs. 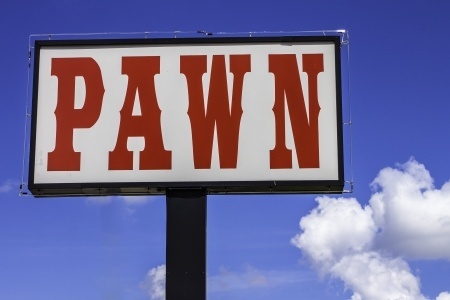 People have been taking their small items to pawn shops for many years. Working with a licensed lender to leverage their larger and often more expensive items gives them an option they may not have had previously. “You can’t just drive a tractor into a local pawnshop and say, ‘Here just put this in your safe,’” says Ayzenberg of PledgeCap. Also, unlike pawn shops, luxury asset-based lenders say they aren’t looking to sell the items to make a quick buck and will only sell the item as a last resort if a customer defaults and they can’t reach agreeable terms. “We want them to keep their items,” says Ayzenberg whose company has been in business since 2013. For every 100 loans, there are only a small percentage of customers that default and lose the items, he says. Every lender runs their business slightly different. At Borro, for example, loans typically range between $20,000 and $10 million and span in time frame from three months to three years. Rates start in the mid-teens and are based on the size of the loan, the time frame and how easy the asset would be to sell. In order to work with Borro, the asset typically has to be worth more than around $40,000, McDermott says. PledgeCap also focuses exclusively on asset-based lending. The company typically funds loans between $1,000 and $5 million. The length of each loan is four months. Customers don’t have to pay every month, though most do. For every month the loan is outstanding customers pay a rate of 3 percent on average. Other fees, payable at the end of the loan, are assessed based on costs PledgeCap incurs and depend on factors such as the cost of insurance, the appraisal fee and the cost of transporting the item to the secure facility. By contrast, Kalamata Capital, which has been in business since 2013, offers asset-backed loans in connection with several other small business financing options—such as working capital loans, SBA loans, lines of credit, merchant cash advance and invoice factoring—to give customers more flexibility in terms of rates. In Kalamata’s case, it will evaluate the cash flow and other assets of a small business for financing options. Kalamata then combines both the amount it would lend against an asset and the amount it would lend to the small business, possibly giving the business a lower rate—and more options—in the process. While it’s not a type of funding that works for everyone, Mandis, the chairman of Kalamata, expects to see continued growth in this area. “I don’t think the loan market for luxury assets is as large as many of the traditional small business finance areas, but it is something that can be helpful to small business owners,” he says.